►EP Summit Registration Closes June 8th! EP Materials & Information Now Available! As the new season begins, the REC Foundation encourages our Event Partners to secure resources for VEX Robotics Competition Event Partners and VEX IQ Challenge Event Partners as needed. These pages will be frequently updated as new documents and information become available. In addition, the VEX Robotics Forum is another great location to share information, connect with other Event Partners, and ask questions throughout the season. If you are not yet part of the EP VEX Forum, please contact your Regional Support Manager to join today! Event Partner Support Kits & Codes! The REC Foundation is thrilled to see interest building to start the new VEX IQ Challenge Crossover and VEX Robotics Competition Starstruck seasons! Please keep in mind that we are currently preparing for the new season and expect to be in touch soon with EP Support Kit codes. 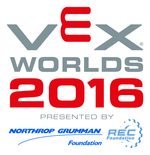 VEX Worlds Sets Guinness World Record, Airs on ESPN2, & Photo Gallery Now Open!